One of the prime directives when mixing is to make sure each vocal and instrument track can be clearly heard. Accomplishing that can be challenging if your song has more than just a few tracks. If this is the case, you’ll have to use more than just panning to achieve separation. In this article, we’ll look at some of the techniques you can use for separating elements in a mix. We’ll describe various methods for placing elements in the soundstage, and talk about ways to reduce clutter, which is the enemy of a good mix. The horizontal plane, which you adjust with your pan pots offers the most variability and is the easiest to control. The front-to-back dimension, governed by ambience, volume and brightness is less variable and is trickier to control. The vertical dimension, which is governed by frequency, is the least variable and the most difficult to control. It’s helpful to think of your mix as having three dimensions. If you have two elements that are centered around the same frequency range, it's best to try to pan them apart from each other. If you had, say an acoustic rhythm guitar and a keyboard that are both playing chords in the same register, they'd sound a lot more distinct if they were in different positions in the left-right spectrum. The opposite is also true: Instruments that inhabit different frequency ranges will not obscure each other as much when panned together. Think about these concepts when you're making panning decisions. A stereo instrument often sounds fantastic on its own, or in a simple arrangement such as a song with acoustic guitar and vocal. But when combined with a bunch of other tracks in a busy mix, its width might do more harm than good. Often, stereo instruments fit better if you reduce their width (by panning them toward one side or another). The narrower they are, the easier it will be to find a unique place where they'll shine through. 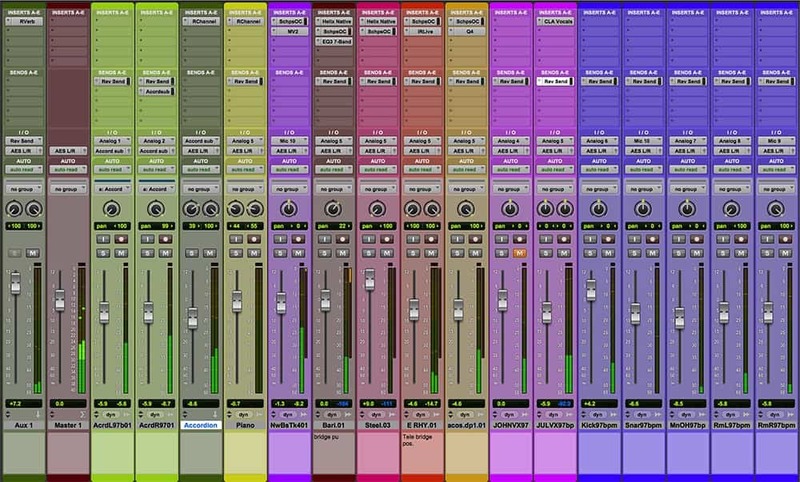 Too many stereo instruments in the mix can cause sonic clutter as they all overlap each other. Another benefit to converting stereo elements to mono is better mono compatibility for your entire mix. One of the critical factors in how your ears perceive the distance of a sound is its volume. Try this: snap your finger right in front of your face, and then extend your hand out as far as your arm will reach and snap it again similarly. The farther-away snap sounds quieter and less present. The same principle applies to your mix. Tracks that are louder and brighter seem as if they're more up front, and the converse is also true. If you're trying to, say, make a guitar part feel like it's further back, turn it down, or roll off some of its high end. A sound that you hear from a distance sounds more ambient than one you hear close up because it contains a higher ratio of reflected sounds to direct ones. The farther away the sound source is from your ear, the more room reflections you’ll hear. Therefore, adding reverb or delay, which simulate room reflections, make a track seem to move backward in the mix. The higher the ratio of reverb to direct sound, the farther back it will seem. Imagine being in a large room like a gym. If you clap your hands, there's a delay before you hear the echo of that clap, due to the time it takes for the sound waves to bounce back to your ears. 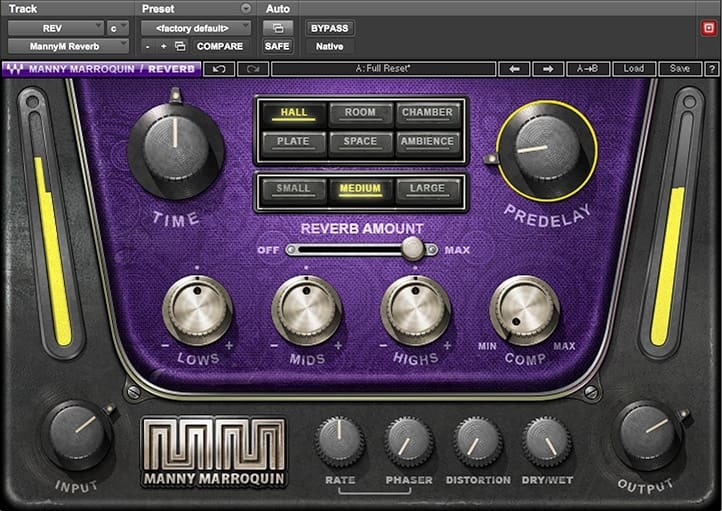 Virtually every reverb processor, like H-Reverb, Abbey Road Reverb Plates, Manny Marroquin Reverb and others, offer a pre-delay parameter, which simulates that natural delay. The brief duration of the pre-delay time allows a direct sound to cut through the mix more, because the beginning of that sound is dry before the reverb kicks in. Optimal pre-delay times depend on the tempo of the song, how much reverb you’re applying and the reverb’s decay time setting. Experiment with those variables to find the right settings for a given situation. 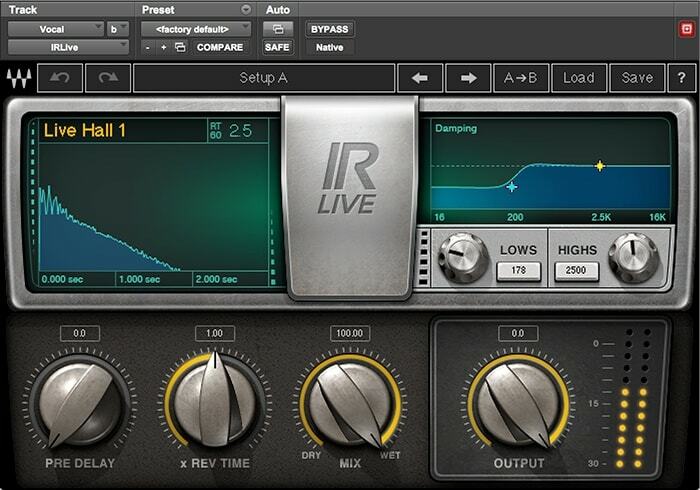 The pre-delay parameter can be used to make individual tracks cut through the mix. You can use automation to make an element pop out of the mix periodically. 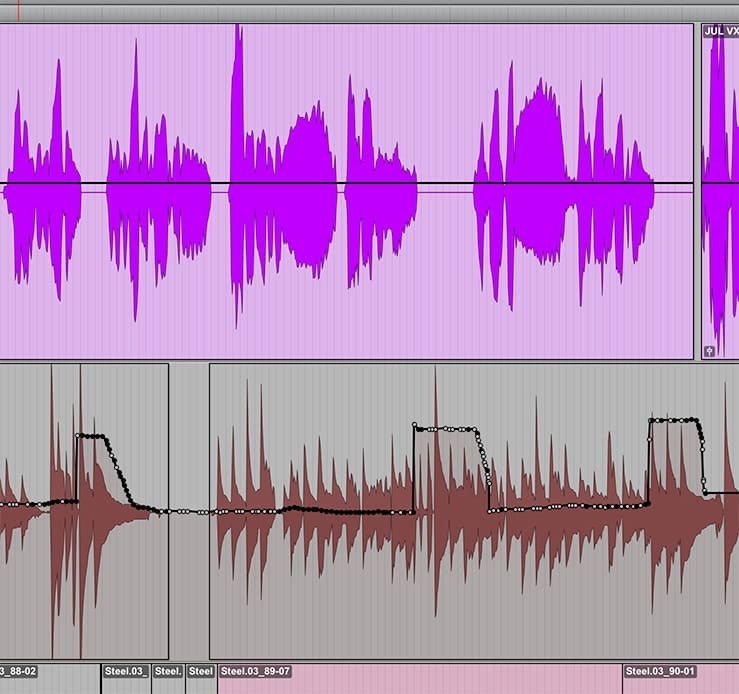 For example, if you've got an arpeggiated synth line under a vocal, you could automate it to come up in volume between the vocal lines. The ability to precisely record and edit automation in a DAW gives you a lot of control over volume along with many other variables. You can make an instrument come forward in the mix in specific places using automation. The greater the pitch of a sound, the higher it appears to be in your speakers. So when you're arranging your mix soundstage, factor in frequency as another way to locate and separate elements. To use an extreme example, if you have a piccolo and an upright bass, the former will sound higher than the latter. This principle is also useful for choosing which instruments can be layered in the same panning position without masking each other (see #9). The term "frequency masking" refers to two elements inhabiting the same frequency range in a mix and thus obscuring each other to some degree. Panning is the best cure for it, but if you have to keep the tracks near each other in the panorama that masking occurs, you can also use EQ to differentiate them. The idea is to boost one track in a particular frequency range while cutting the other one by the same amount in the same range. Make sure to choose frequencies that are flattering for the track you're boosting. For example, let's say you have a piano and acoustic guitar that are both playing in the same octave and masking each other. You could increase the upper midrange frequency (for example 3.5 kHz) on the acoustic to give it a little extra sparkle and cut the piano there. Then you could boost the piano at a lower-midrange frequency (say 650 Hz) and reduce the guitar similarly. Here are EQs for a pair of tracks that had masking issues. Notice the boost in one is mirrored by the cut in the other. Most bassists try to play on the same beats as the kick drum whenever possible. When the two instruments lock in, it sounds tight and helps the groove. But it can cause some masking issues in the mix because the kick and bass are in the same frequency range and are just about always panned straight up the middle. Fortunately, you can use sidechain compression to help the kick poke out from the bass when they hit together. Here's how it works: You set up a compressor on the bass track using its sidechain mode, and for the sidechain source, you assign the kick drum. That way, every time the kick plays, the compressor will attenuate the bass by a small amount, allowing the kick to come through more. Most compressors, including models like Renaissance Compressor, dbx® 160 Compressor / Limiter, or in the powerful Scheps Omni Channel have sidechain features. 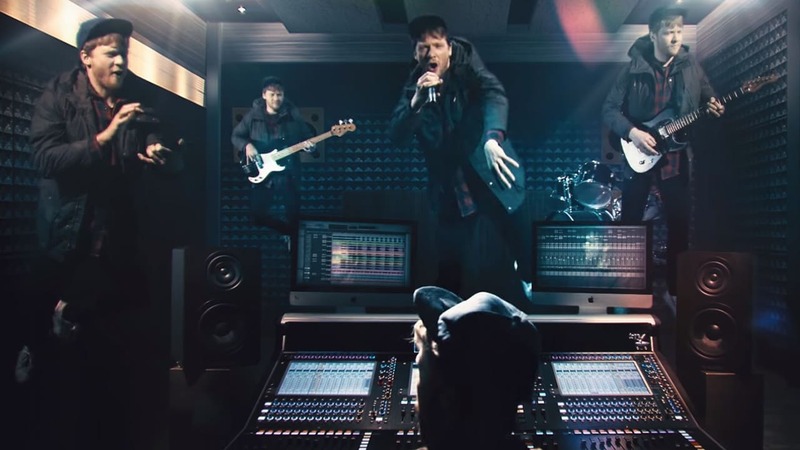 There's some truth to the saying that a well-arranged song will almost mix itself. If you think about the principles discussed here, particularly frequency masking, it makes sense that if you arrange your music so that similar instruments play in different registers as much as possible, you won't have to work as hard to find space for all of them. For example, if you have an electric rhythm guitar and a piano playing chords simultaneously, try to make sure they're not playing primarily in the same frequency range. Perhaps you could move the piano part up an octave, or have the guitar play higher chord inversions. Try to envision in advance how various parts are going to fit into the mix. Most instrument and vocal tracks carry low-end information that's not needed for them to sound good and sit well in the mix. Those frequencies can cumulatively add a lot of mud to your mix, negatively impacting its overall clarity. Many engineers use high-pass filters (aka "low-cut” filters) to roll off extraneous lows. Virtually any EQ plugin provides filters. You could apply a single high-pass filter on the master buss that's set to roll off below 30 Hz. One caveat: I wouldn't suggest this approach if you're mixing dance music, hip-hop or some varieties of pop, where the sub-frequencies are essential. 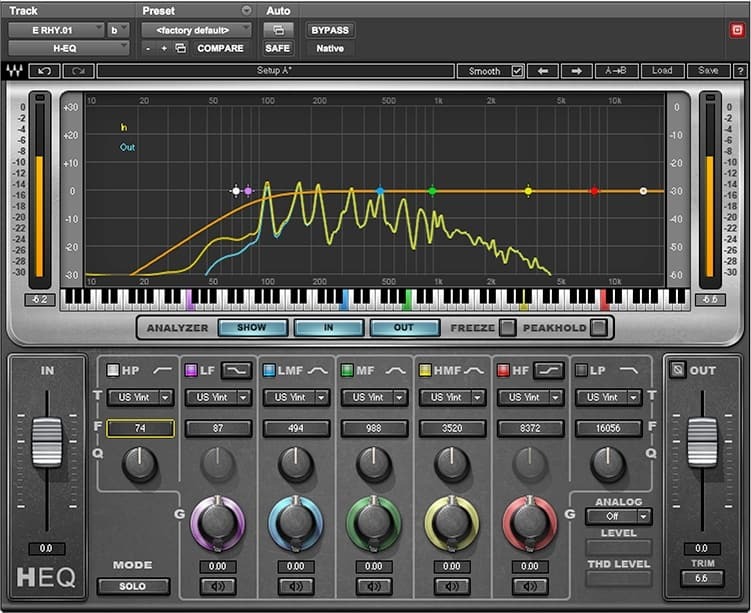 A more precise way to go for any type of music is to apply the filters on individual tracks, where you can tailor them to the frequency response of the particular instrument or voice. A useful method is to turn the frequency adjustment of the filter up slowly until you hear the track start to audibly thin out, and then back it off to just before that point. A high-pass filter removes unwanted low-end from a track. A reverb with a long decay can sound really cool when you hear it on a single instrument or voice, but multiple tracks with such effects can create a mess of overlapping reverb tails. Think about it; if you've got a reverb with, say, a three-second decay, inserted on an effects return, and you're sending multiple tracks to it, there's going to be gobs of reverb decay washing over your mix throughout the song. On a slow song it's much less problematic, but if the song is fast, you’ll need to keep the decay times shorter to avoid reverb-tail clutter. It's also advisable to use the EQ or high-pass filter parameters on your reverb to cut out some of the low frequencies of the reverberated sound, which aren’t usually necessary. Rolling off lows from your reverb can help reduce clutter in your mix. Although your mix will mainly be listened to on stereo headphones/earbuds or speaker systems, there will be situations where it's played back in mono, and it's important to make sure that it doesn’t fall apart when it’s summed. In mono, all the panning that you used to create separation is removed from the mix, and everything is in the same vertical position. There's no way to avoid that, and periodic mono checks might help you decide to depend a little less on panning, and more on the front-to-back plane to achieve separation. It's a creative call that depends on the musical style and where you think your mix will be listened to the most. Checking in mono is also essential for detecting phase coherence issues. For more on finding phase coherence issues and optimizing mono compatibility, get 8 important tips for fixing phase problems in your mix. Do you have any mix separation tips that we missed? Let us know in the comments below.